What would it be like to see the world through the eyes of Pennywise? He's definitely not wearing rose-colored glasses, that's for sure! Instead of seeing the normal outdoor scenery—green grass, moving vehicles and smiling faces— your atmosphere would be far more macabre. We repeat, your atmosphere would be far more macabre. For example, you could peer out a window at work and suddenly see a clown chewing demonically on a children's arm as if it's a turkey leg. Well, that's not something you see every day! Hopefully, we didn't frighten you because the Pennywise glasses you're currently looking at aren't anything to worry about. You won't see morbid images while wearing them, but others will be scared. 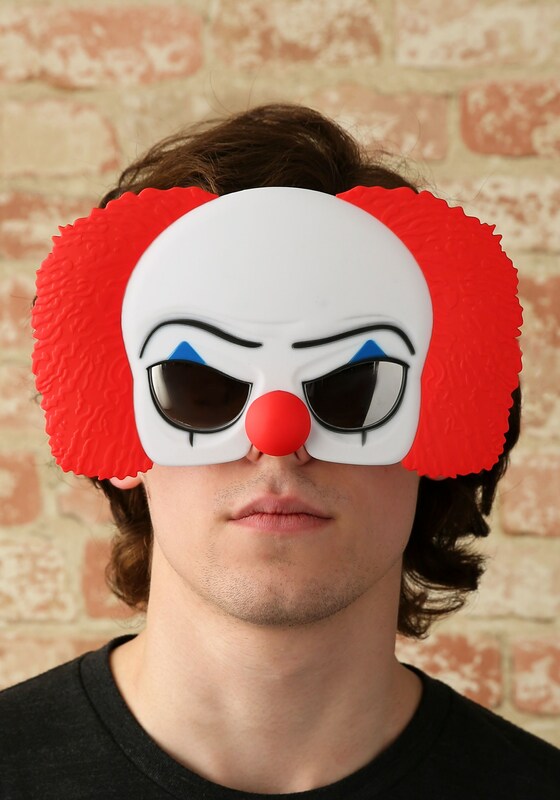 Since these glasses are like wearing a half-mask, you'll possess some of Pennywise's most scream-worthy features like menacing eyebrows, red nose and matching hair. 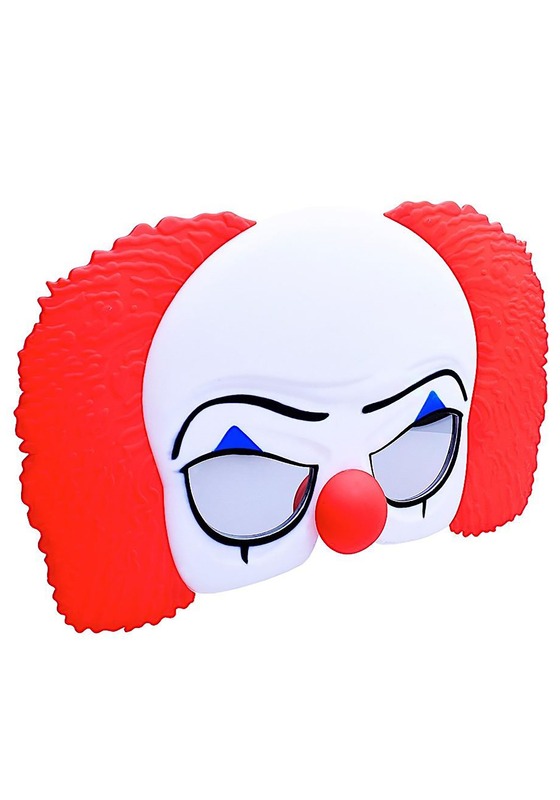 The officially licensed Pennywise clown glasses recreates the popular villain from the 90's horror classic, It. With an attached plastic half-mask and mirrored silver lenses, these glasses are ideal for those who want a horrifying look without using a latex mask! Complete your Stephen King-themed look with a Pennywise costume featuring a yellow jumpsuit and a large ruffled collar.